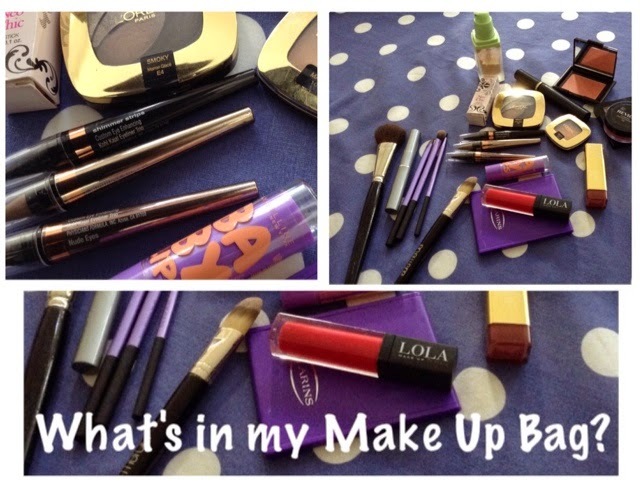 I've been meaning to do this post for ages, its a What's In My Make Up Bag post. I'm really nosey and I love having a looksee at what products people are wearing on a daily basis, we all have our favourites and ones we go to and can't do without don't we? So here's mine. I've done it as a video because it was easier to talk about them than write (I found I was rambling unnecessarily when I tried to write it). Would be really interested to hear if any of you have heard of/used any Physician's Formula products, I picked up some lovely kohl liners in the USA when I was there in August and I seriously haven't looked back! I haven't done a bodywash collection post for a while so I thought I'd let you in on what I've been using in the past month, usually I have quite a collection but this time there's only three. I'm trying to cut down on the number of bottles in the shower actually they are tending to take over a bit but a girl's got to have a choice -right? This is a new shower gel that I picked up in the supermarket. It's by Right Guard, who are generally associated with anti-perspirant/deodorant (in my case, my husbands deodorant!) so I was interested to try this one, not least because it purports to have a moisturising lotion included (not unlike many others) and as you'll know from my previous posts, I'm all for shower moisturisers as its hugely time saving in the morning when you're in a rush. I have to say I wasn't disappointed, this shower cream does actually feel like an in shower moisturiser, perhaps less thick but you can definitely feel the moisturising properties nevertheless. It also smells lovely, I prefer flower smells usually but Pomegranate wasn't offensive at all. Earlier on this year I reviewed the mint Original Source, I liked it but its like Marmite, you either love it or you hate it as its quite strong. The Vanilla and Raspberry bodywash smells like ice cream to me! As with all Original Source bodywashes its lovely and moisturising and fairly well priced, they can sometimes be on special offer which is when I tend to pick them up. The only thing I don't like about Original Source bodywashes is the bottle, I find them a really awkward shape and sometimes not that easy to open with wet fingers! All in all this was a nice bodywash but I don't think I would necessarily go out of my way to buy it again as I do prefer the mint or lemon ones - they really do wake you up in the mornings. Now this is really yummy. I loved this and would definitely buy it again. Its got a really refreshing, exotic smell, like flowers but not too sickly. I do love my Radox though so perhaps I am a bit biased. I love that they are always coming out with special editions and would buy this again. I think though, out of the three my favourite is the Right Guard though, it is so much more moisturising than the other two, clearly the added moisturisers really do work!